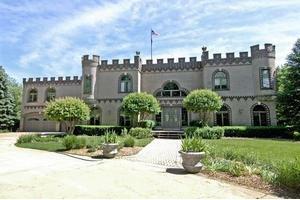 It Is Said That Your Home Is Your Castle-List Price Includes House and 10 Acres With Option To Purchase House and All 39+ Acres. Overlook Your 3 Story Great Rm From The 2Nd Flr. Dream Kitchen Has More Countertops and Storage Than You Can Imagine. Each Br Offers A Pvt Bth, 3 With Whirlpools. Mstr Ste Has A Spiral Staircase To Private Turret Overlooking The Estate, Pond and 10,000 Sf Heated Barn With 8 Horse Stalls.